Some things are made for each other. Salt and caramel. Champagne and oysters. Walnuts and blue cheese. Chocolate and coconut. 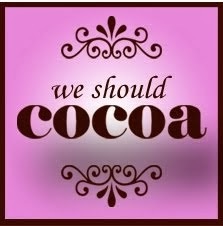 Then there’s Random Recipes and We Should Cocoa – a match so perfect I can’t believe they haven’t joined forces before. 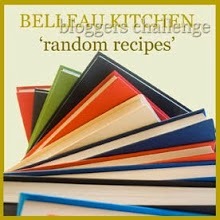 For this month’s Random-Recipes-Meets-We-Should-Cocoa mash-up I had a very limited selection of books to choose from thanks to our ongoing renovations (it’s hard to access the main part of one’s cookbook collection when it’s hidden behind a king-sized bed, two radiators and a mirror, don’t you think?). Anyway, one of the few books I could reach was this handsome tome: a 1971 edition of The New Zealand Woman’s Weekly Cookbook, edited by the incomparable Tui Flower. Like Random Recipes maestro Dominic, and We Should Cocoa founder Choclette, Tui Flower is a force to be reckoned with. She ruled New Zealand food writing from her test kitchen at the NZ Woman’s Weekly for more than 20 years. 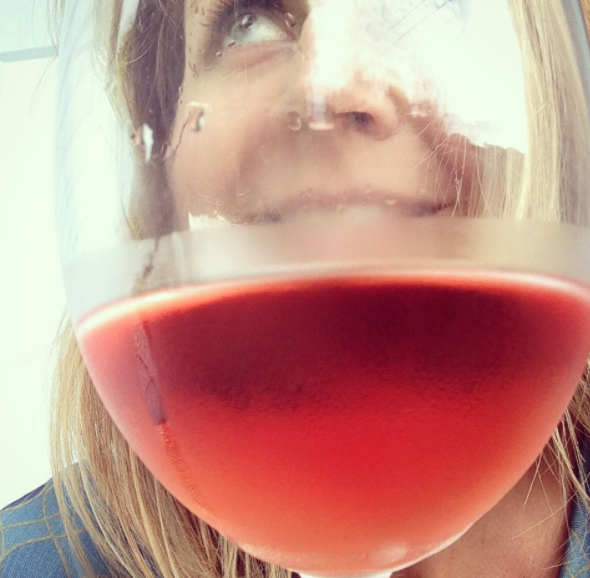 At the NZ Guild of Food Writers‘ Conference last November she was spoken of with the utmost awe, if not a slight touch of fear. This book, though a little dated in parts, is a brilliant snapshot of New Zealand households in the 70s (and beyond). 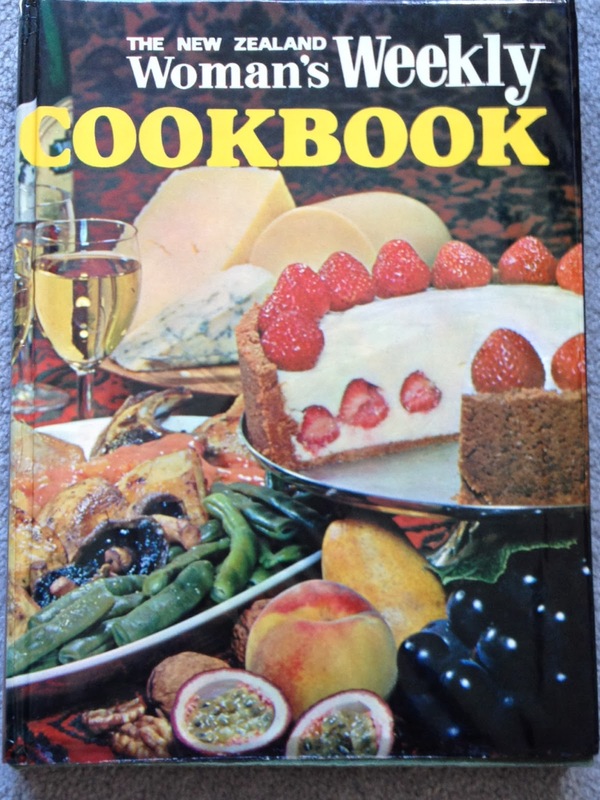 I rescued my copy from an charity shop and – while I’m unlikely to make Tui’s recipe for ‘Picnic Loaf’ using a tin of spaghetti and sausages, among other things – I think it’s a fine piece of culinary heritage. The recipe I ended up with here is another local icon. Chocolate Cornflake Roughs, or their close cousins, made with rice bubbles, were THE party food of choice when I was a child. They are very sweet, crunchy and best served very cold (ideally, without any children to share them with). As much as I respect and admire the work of Tui Flower, I’ve updated her 1971 recipe to reflect the contents of a slightly more modern pantry. The original recipe specifies ‘crushed coconut biscuits’ – in New Zealand that can only mean the delectable Krispies (which now even come in a chocolate-dipped form). If you don’t have a similar biscuit, I suggest something like a digestive or chocolate wheaten. Hey, you could even use these. If you’re not a fan of coconut oil, any light, neutral oil will work. Don’t forget to use the best cocoa you can for an especially rich flavour. For that birthday party touch, use cupcake cases instead of a lined tray. 9 coconut biscuits (as described above), crushed to make about 1 cup of crumbs. Line a tray or a large platter with baking paper and set aside. Sift the icing sugar and cocoa together into a bowl. Beat in the coconut oil and almond essence, then add the cornflakes and biscuit crumbs and stir until well combined. Drop spooonfuls of the mixture on the lined tray and leave in a cool place to set. Makes about 12. Lucy, fab entry and one I suspect we can all relate too, although the addition of coconut is a bit of a sophisticated novelty to me. Not sure if you're in the middle of updating your blog or my computer is playing up, but I'm finding things a little weird here and very difficult to read. Scratch that, must have been my computer, cos all is back to normal now = phew! Thank you – I know it seems counter-intuitive to put a biscuit in a biscuit, but it works! 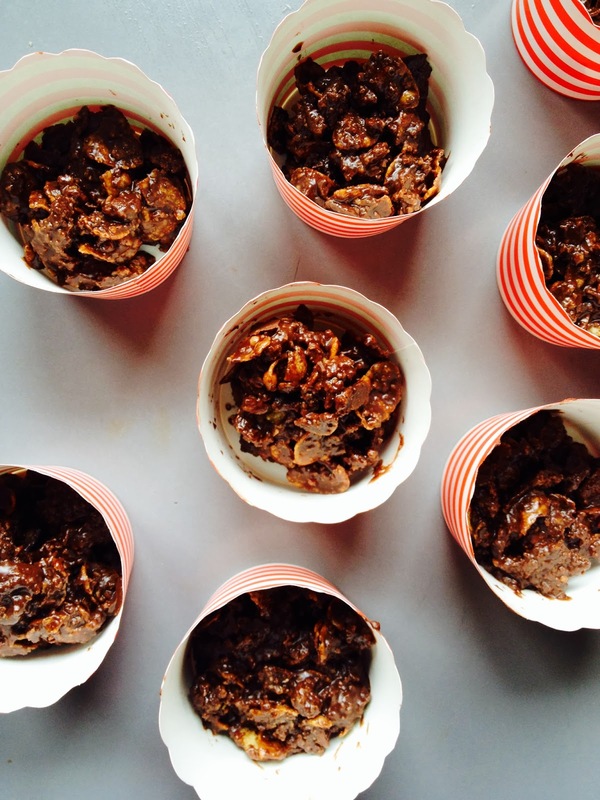 what a wonderful idea with the chocolate and coconut oil… these look more than moreish and very dangerous that they're so easy to make… thanks so much for the brilliant entry to random recipes we should cocoa and for the very kind words! Thanks Dom – and yes, they are very addictive. I don't know why we waste them on children! Hi Charlene, even in little old NZ we can buy coconut oil at the supermarket, but if you can't find it there, try an organic/health food store. Good luck! What a delicious looking treat. I think I need to introduce these to the US! 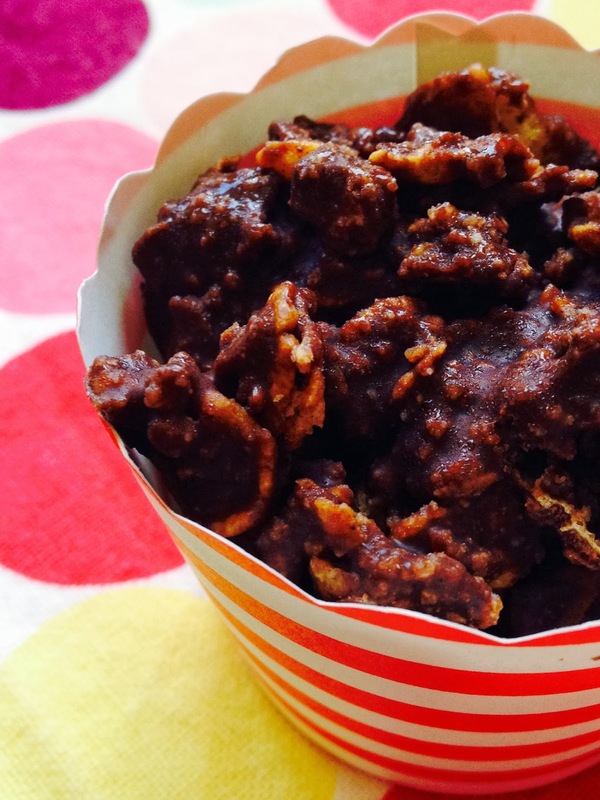 Cornflake crispies are still my all-time favourite party treat. My sister made them for my son's Christening 'for the children' a while back and I ate almost all of them. Our version is far less sophisticated though I'm afraid – the coconut oil sounds like an interesting addition.